It's time to unveil my rotating waffle maker and to make it more dramatic, I should make the first waffles for my benefactor and the flavor of his choice. Actually, R who gifted me with the gadget told me he wants white chocolate macadamia and even as I haven't done that before, I'm up for the challenge. 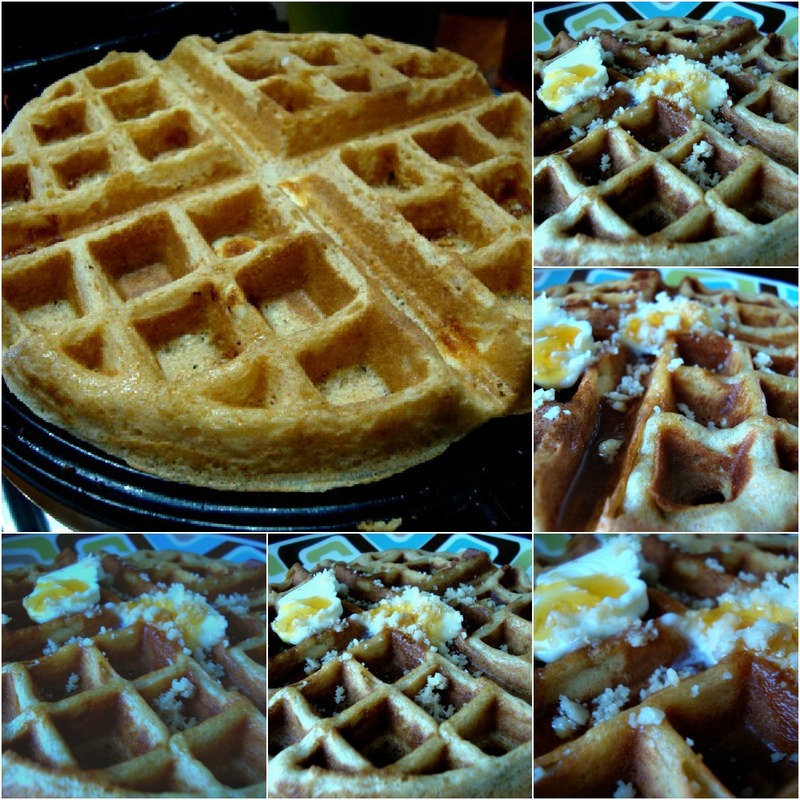 It's not like it's difficult to make waffles he he. My note to self is to stick to my recipe with minor changes here and there. I figured this will be nutty because of the macadamia nuts and I need to adjust the sugar because I will be folding white chocolate chips into the batter. And I don't really like white chocs coz' it's just sugar. I would prefer dark chocolate but then that's what fairy godfather wants so I have to acquiesce. In a medium bowl, stir flour, sugar, baking powder and baking soda. Mix well. 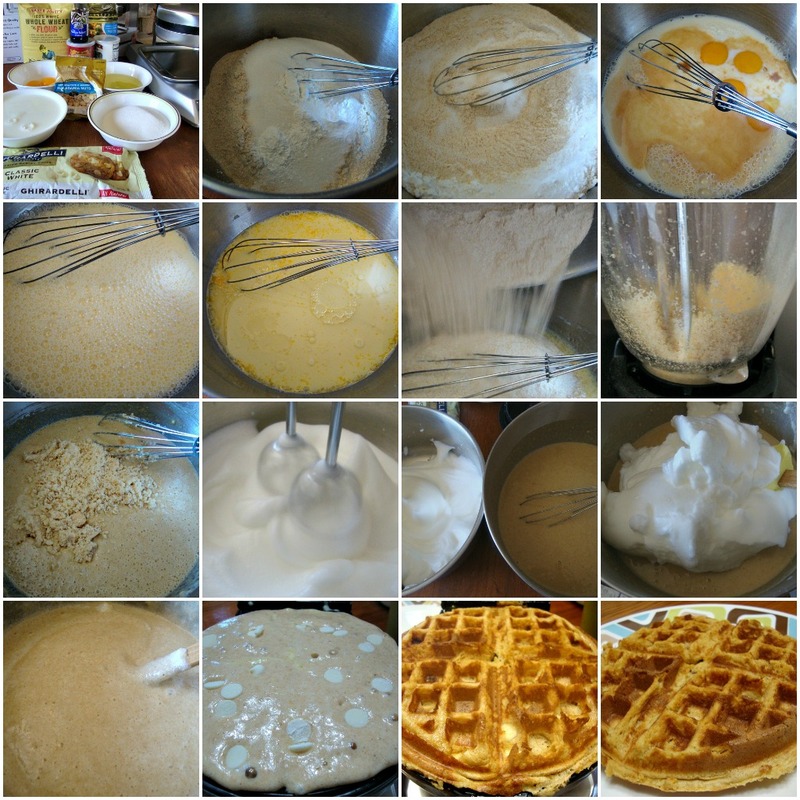 In a separate large bowl, whisk egg yolks, vanilla, and milk. 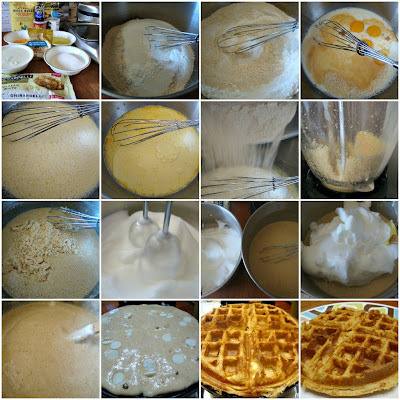 Fold egg whites into waffle batter. It was delicious- crispy outside and soft inside. I think I'll just rough chop the nuts next time instead of pulsing because they were kind of lost in the batter. The waffles didn't need maple syrup because the white sugar err... chocs are already sweet he he he. I am hating you right now for putting this delicious photo in front of my face and I can't lick my monitor to taste it!! !